Bruce covered the song with his early band ' the Castiles' and opened the show with this cover in the first set . 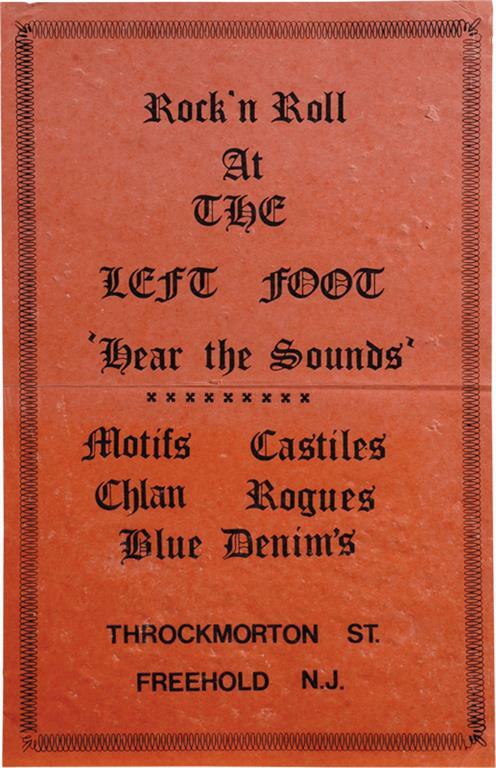 This was grand opening night at The Left Foot, an "over 13, under 18" club located in the recreation centre of St Peter's Episcopal Church at 37 Throckmorton Street. The club was opened by Reverend George Errickson and Reverend Fred Coleman, along with two High School students, Harold Breiner and William Cottrell. Patrons sat on cushions. Sadly The Left Foot had a short existence (seven months). This was the first of only two live appearances by The Castiles at the club - fortunately both appearances were audience recorded by Left Foot Manager (and St Peter’s priest) Fred Coleman on a good quality reel-to reel device. 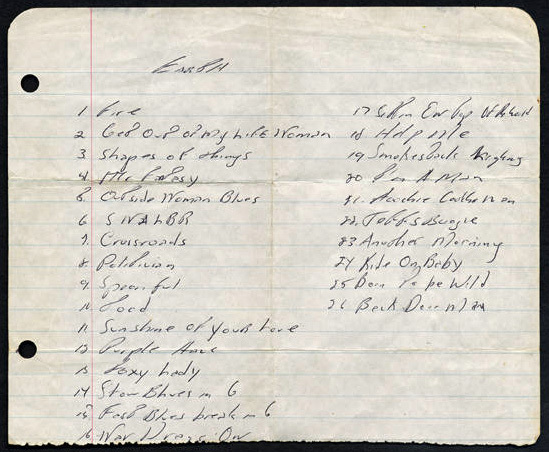 The-mentioned thirteen-song setlist represents The Castiles’ complete song performance in the correct sequence and they are all covers of other artists’ material. Although Springsteen may have started out in mid-1965 singing mostly background vocals, it is clear that by this point Bruce is the band’s focal point. Bruce handles the lead vocals on all songs except 'Eleanor Rigby', 'See My Friends' and The Blues Project’s haunting 'Steve’s Song' (all handled by George Theiss). Tex Vinyard, The Castiles’ manager, is heard introducing the band at the start of the second set. Interestingly the group uses The Yardbirds' instrumental 'Jeff’s Boogie' twice, as both the first set closer and show closer. A recording of Wille Dixon's "You Can't Judge A Book By The Cover" will be officially released on September 23, 2016 on Chapter & Verse, the companion album to Springsteen's autobiography Born To Run. 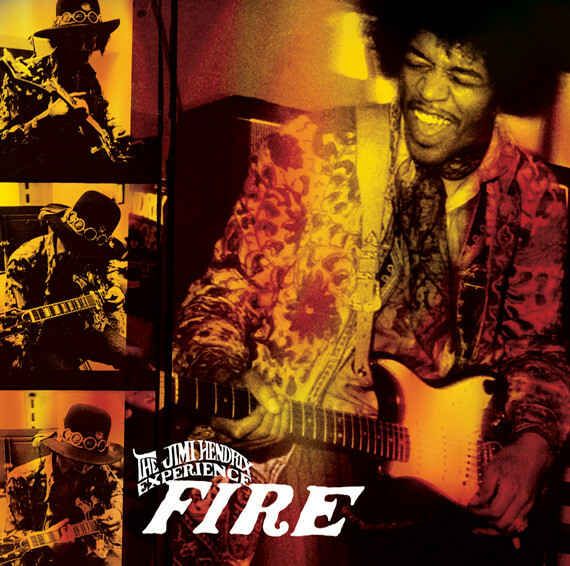 "Fire" is a song written by Jimi Hendrix and recorded by the Jimi Hendrix Experience in early 1967. It has been described as "an exercise in soul, psychedelic rock, and polyrhythmic jazz-inspired drumming" by AllMusic critic Matthew Greenwald. One of Hendrix's most popular songs, he frequently played it in concert. Several live recordings have been released and the original song is included on numerous Hendrix compilations, Despite its sexual overtones, the song had an innocuous origin. Noel Redding, bass player for the Experience, invited Hendrix to his mother's house on a cold New Year's Eve in Folkestone, England, after a performance. Hendrix asked Noel's mother if he could stand next to her fireplace to warm himself. She agreed, but her Great Dane was in the way, so Hendrix let out with, "Aw, move over, Rover, and let Jimi take over". (Let me stand next to your fire) Aw!